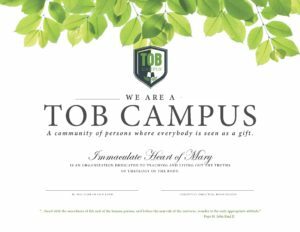 HOW DO YOU BECOME A TOB CAMPUS? Below is sample language you can adopt within your own materials (website, communication to staff, parents and community) as you work to become a thriving TOB Campus. 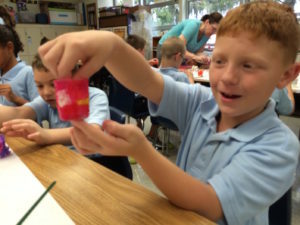 We are first and foremost a Catholic school, fully committed to Jesus Christ and the Church. What St. John Paul II shared in his reflections called the Theology of the Body is a re-articulation of who the human person is, created in God’s image and likeness. Grounded in our Christ-centered Catholic identity along with the profound vision of man proposed in the Theology of the Body, we are cultivating a “TOB Campus” with profound implications. We teach that every person is a unique, unrepeatable gift – and we are honored to uphold the dignity of every one in all we do. We see education as an act of love and a sharing in the work of Christ, the Good Teacher. PRAYER We affirm the priority of every student and staff member’s unique and unrepeatable relationship with God through Mass, reconciliation and daily prayer. SERVICE We recognize the importance of serving the needs of our brothers and sisters in the human family as a response of gratitude to God’s love for us. 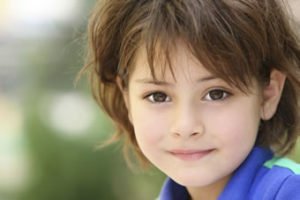 DIGNITY OF THE HUMAN PERSON We uphold the intrinsic dignity of every human person. This value is not earned or achieved but comes from God in whose image each one is made. RECOGNIZING UNIQUENESS We affirm every person as unique and unrepeatable through calling one another by name. Teachers are committed to praying for their students by name. EDUCATION We believe education is first a cultivation of awe and wonder at the gift of God’s creation. Every subject is seen through this lens. VOCATION We help our students discern their unique vocation to love, and lead by example by devoting our lives to Christ through a total gift of self. Through fidelity to our vocations, we strive for Christian sanctity. DISCIPLINE We expect a total commitment freely chosen by our students, faculty and staff to living their true meaning and purpose in communion with Christ and the entire school body. We bring a pastoral approach when a rupture in this communion occurs — always in furtherance of preserving, protecting and strengthening our commitment to a harmonious life together in communion with Christ. ENVIRONMENT We recognize the goodness of creation and its power to reveal something of the glory of God. Therefore, we strive to preserve and celebrate the goodness and beauty of creation through our choices regarding school grounds and decor, conservation, food, uniforms, athletics, the arts, and incorporating the natural world into our educational activities. 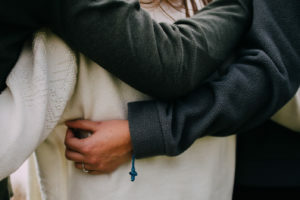 AUTHENTIC MASCULINITY & FEMININITY We recognize the givenness of our maleness or femaleness as revealed by the human body as a sign of God’s love and seek to cultivate and protect this treasure in each other. When we live according to our essential meaning as gift, sharing Christ’s love in all that we do, we cultivate a campus life together rich in spiritual fruits such as “charity, joy, peace, patience, kindness, goodness, generosity, gentleness, faithfulness, modesty, self-control and chastity.” (CCC 1832 and Gal 5:22-23) . It is not always easy in practice, but it is essentially that simple! In St. John Paul II’s words, this is the “hope of everyday,” made possible by Christ’s redeeming love for us! READY TO CHANGE THE WORLD TODAY? Register as a TOB Campus It’s free. Fill out the form below. Begin a Book Study with your faculty Spring of 2019 See details here. Announce and Celebrate your TOB Campus: Fall of 2019 See details here. 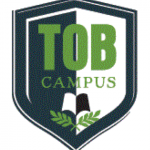 REGISTER AS A TOB CAMPUS. (We will send you a free TOB Campus Starter Kit with all the details). By signing up here, you acknowledge having the authority to proclaim that your organization is a TOB Campus — In The Beginning. You intend to take the steps necessary to teach Theology of the Body to your staff and faculty and students in this school year. And you will promote Theology of the Body concepts throughout your organization throughout the year. You are free to use the TOB Campus logo, and any of our supplied materials for this purpose. 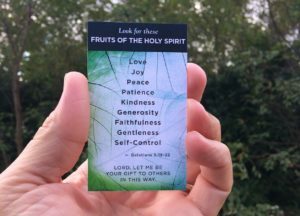 At the end of the school year (in May) you will submit a Galatians 5 Fruit of the Holy Spirit report. If your report is accepted, it will be posted on our TOB Campus website and you will receive a TOB Campus designation for that year. MAY GOD BLESS YOU WITH HIS ABUNDANCE. In the meanwhile, if you would like more information or to discuss the TOB Campus idea further, contact Evie by email. 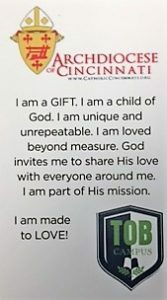 Create a TOB “Gift” Card with your diocese, parish, school or organization logo. Use this card and customize with your own logo, slogan or statement of your Catholic identity. A community of persons where everybody is seen as a gift.